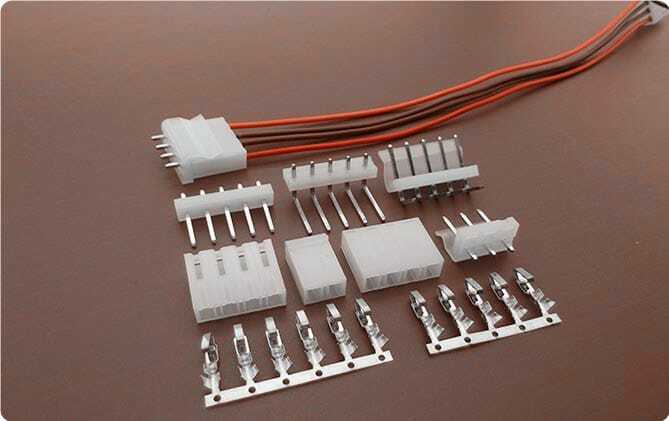 For 5.08mm pitch wire to board connectors for big current application, we have Molex replacement connectors, Like Molex KK508 and Molex SPOX 5.08 series and Molex 8981 series power connector. The plug-in 5.08 mm pitch series connector of Scondar follow a space-saving, robust terminal with compact dimensions for power distribution, power supply applications. Thanks to its chamfered corners on one side that prevents user from plugging it in incorrectly, Scondar also offers these 5.08mm pitch connectors with proven and accurate screw connection. 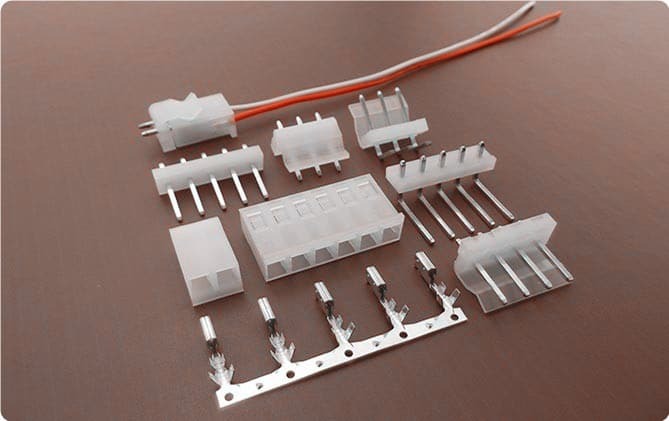 The product range includes different Molex brands such as KK, SPOX and 8981. The header range offers horizontal, vertical or double-level versions for the wave soldering and SMT process. Through hole reflow (THR) headers, which are made from high-temperature-resistant material, are available in tape-on-reel packing, enabling fully automated handling in the SMT process. Molex KK 508 connectors are ideal for power supply for wire-to-board and board-to-board applications, delivering up to 5A of current at 250V AC/DC rating for AWG 18-24, with up to 2-20 positions. Industries such as automotive, medical and consumer are greatly benefited by this connector. Extravagant features include bifurcated terminals offering an enhanced, rectangular-shaped area of contact that usually interferes with the male pin, whereas its anti-fishing feature (as an option) protects the wire during cable assembly. Receptacles are available in right-angle, top-entry or bottom-entry-configurations and its housings, which are UL 94V-2, are completely polarized. The KK 508 is available in single-row and unshrouded through-hole PCB termination styles, where a friction lock is incorporated for secure mating. Headers are equipped with high- temperature nylon allowing 260ºC wave and reflow solder processing. It also has a kinked PC tail that ensures safe and secure PCB contact during soldering. Scondar’s Molex SPOX of wire-to-board and wire-to-wire connectors is a reliable, compact and durable connector for power delivery and power distribution requiring a huge amount of flexibility.“SPOX” is a name which originates from the shape of its terminal that is like a spring box, which provides multiple points of contact and protects the mating interface area, preventing fish-hooking and wire mishaps. The 5.08 mm pitch SPOX is available in 2 - 8 positions, dissipating 5.08 A for AWG #18 - #22 and has a box-style terminal, polarized design, friction locks, kinked tail options and crimp and IDT housings, meeting a variety of design needs. The Molex 8981 series is famed and often used for disk drive power applications such as hard disk, CD/DVD, Zip and other removable media drives. This connector is available in 2-4 positions, delivering 5.0A for AWG #16-24. The components are designed to withstand high temperature of IR soldering process and vibrations with its housing made from high temperature material. The connector housing provides electrical insulation between the contacts and between the contact and the external circuit. Dielectric Withstand Voltage (DWV) usually verifies the voltage rating of the connector. A well-designed housing holds the connector contacts providing trouble-free mating and unmating. Spacing between the contacts is also fixed by the housing. Creep (electrical tracking distance over surfaces) and clearance (linear “line‐of‐sight” distance) is also maintained by the housing. The housing is smartly engineered to allow efficient signal and power transmissions and at the same time, provide some level of environmental protection to the electrical contacts. Scondar manufactures the housing from Nylon 66, which is a material highly used when high mechanical strength, rigidity, stability is needed under varying temperature changes. That is why all Scondar connectors can withstand a wide temperature range from between -35 deg C to 85 deg C.
Furthermore, the housing is molded in UL94V0 natural ivory and is RoHS compliant, which has passed the flammability test for electronics and as such, the connectors produced by Scondar are ideal in rugged electronic devices, sustaining high environmental stresses. Also, the housing may be available with or without protrusions, depending on customer needs and specifications. Scondar’s connector terminals are made of tin-plated, phosphor bronze. The terminals have a thickness range of 0.12mm-0.15mm depending on the 5.08 mm connector type. Tin-plating is less costly and generally for applications carrying more than 0.5A, where high cycling is specified. Phosphor bronze is stronger than brass and has better spring properties that lends itself useful in smaller contacts that can best leverage its mechanical properties. 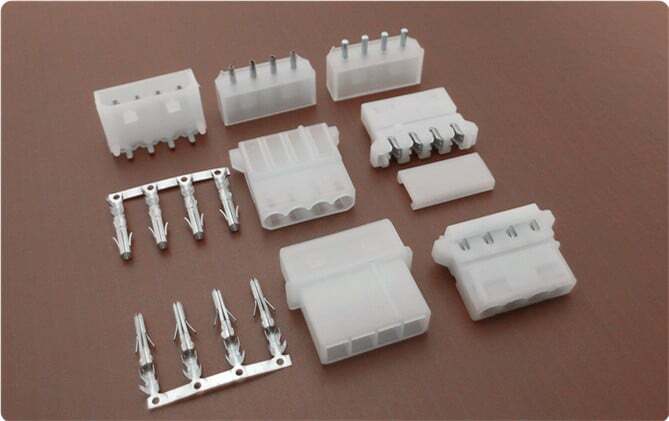 This material is commonly found in small and medium‐pitch signal and moderate‐power connectors. Quality is at the heart of Scondar’s standards where facilities are UL & ISO 9001:2008 certified. Scondar ensures materials and components always meet their needs with UL file number and ISO certification. Assemblies are 100% tested guaranteeing reliability and compliance, a variety of appropriate tests are applied depending on cable assembly type. Examples are: Short or open circuit, intermittent circuit, mis–wiring. Hi-Pot, static load for strain relief, bending test, crimp pull off force, contact to housing retention force and plastic hardness. Individual discrete wires are stripped of insulation, crimped and then inserted into female housing to complete the assembly. The completed assembly mates with a male PCB header, which offers options for locking, latching and polarised connectors. In many cases, a wire harness or cable assembly is needed to compress masses of wires stretching over a distance. By binding these wires into cable assemblies, these cables can be better secured against the adverse effects of vibrations, abrasions, and moisture. Scondar’s wires are produced into a non-flexing bundle, for space optimization and safety purposes, where installation time can be decreased and the process of installing electronic circuits in standardized. Their positive locking latch provides only a slight increase in disengagement force of the terminals. Blind-mating solutions implemented in the connectors allow engagement of the connector system without visual alignment. Scondar connector series has a heavy-duty, shrouded design providing positive polarization to aid in blind mating applications. Scondar meets close adherence to the connector system specifications for blind-mating solutions for a more efficient connecting system and interference capability.